Hello everyone, I would like to introducing an ICO to you guys. It called Cryptfunder. Cryptfunder is a decentralized cryptocurrency funding source for ICOs and blockchain companies. With the influx of a myriad of ICOs entering market, finding the required amount of funding to be able to successfully nurture those worthy projects has proven to be a recurring problem. Enter Cryptfunding, a token that will fund pre-ICO startup and other blockchain companies and will employ expers analysts to identify the project with the greatest potential market value base on the quality of their team and the real-life application and utility of their technology. 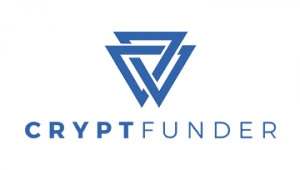 Cryptfunder will provide seed crypto-capital at a crusial phase in return for pre-ICO tokens at a discounted rate or other method of compensation, guiding developing ICOs to success and developing a diverse portofilio of new and developing cryptocurrencies providing value for all of Cryptfunder participants. Find inspiring and disruptive startup ICO's including blockchain companies in various stages of development. Target those startups and other companies that break the established mold and thus present opportunities to achieve stratospheric results for Cryptfunder and its' token holders. Enable participants to easily apply online through a comprehensive, multi-part application process, secure data entry and upload capabilities, and save and return functionality. Streamline the funding application process through the Cryptfunder application portal and other modules. Fund those startups and other companies to their required funding levels enabling them to achieve their maximum potential success without being handicapped by the lack of proper funding. Surplus funding will help to gain support and freedom of technological 'movement' thus ensuring that any company funded by Cryptfunder has increased chances of substantial success. Hold for value is the motto of Cryptfunder and its products. We will evaluate and perform thorough research and critical analysis on our held tokens and rebalance our supported company's token portfolios at all times. Increase our value through the Cryptfunder CF30 token portfolio assets. These top, mid and low tier tokens will represent a deep intrinsic value to Cryptfunder and its token holders. Managed professionally and utilizing the best expert investment managers and ICO professionals, the CF30 will grow and excel across time. The security will be scrutinized, analyzed and mitigated using standard and time proven techniques, along with our own proprietary security methods. CFND funding of worthy and disruptive startups and blockchain companies is not only a benefit to Cryptfunder and its token holders, but to the crypto community as a whole. Being able to receive massive amounts of highly discounted, in many cases pre-ICO tokens is the benefit that Cryptfunder has been built around. The token portfolio CF30 will provide a stable and growing segment to our already stable platform in which to build our continued future success upon.